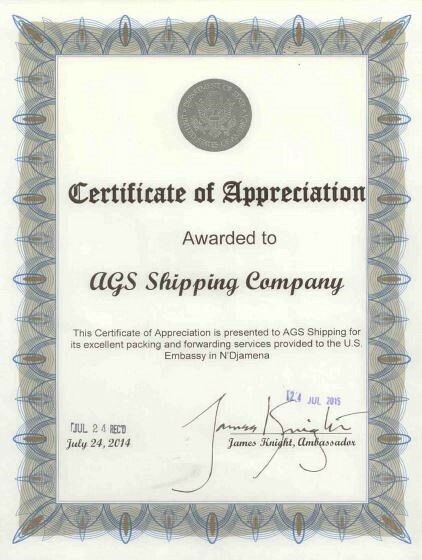 The US Embassy in Chad’s capital of N'Djamena recently honoured AGS Frasers Chad, presenting the branch with a Certificate of Appreciation in recognition of its ‘excellent packing and forwarding services provided’. Signed by the US Ambassador to Chad, James Knight, the certificate was received by Branch Manager Jean-Louis Dutech (far left). AGS Movers Bucharest brought joy to children and families, before the Holidays !